Bookmark in the Park is collecting used children’s books at the St. Louis Park Rec Center from April 22 to May 9. The Rec Center is at 3700 Monterey Drive. The group is hosting a kids’ book sale at the Children First Ice Cream Social. Bookmark in the Park promotes reading among St. Louis Park families and is sponsored by the City of St. Louis Park, St. Louis Park Public Schools, Friends of the St. Louis Park Library and the St. Louis Park Community Foundation. For information email Shirley Zimmerman. Help Beautify the Park encourages everyone to walk about their property and neighborhood to pick up litter and other remnants of winter. Young people are invited to be part of these community events. 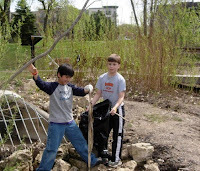 Clean Up Creekside (creek and canoe landing) on Sat., April 17, 10 a.m. – 12 p.m. at Creekside Park. Cleaning tools provided. Earth & Arbor Day Celebration on Sat., April 24, 10 a.m. – 12 p.m. at Westwood Hills Nature Center. 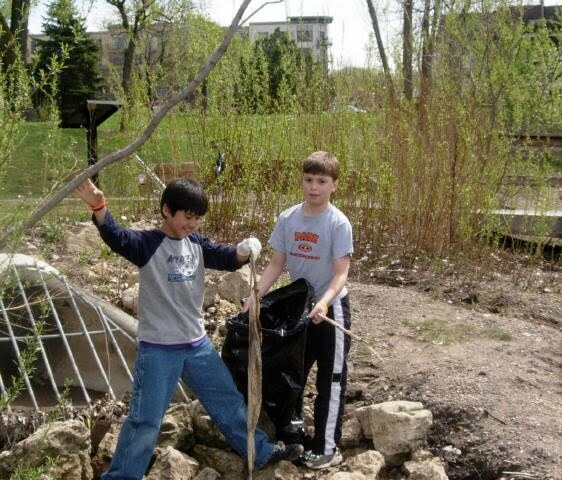 Learn how to make a big impact on the environment, pick up litter and other activities. Entertainment and refreshments included. For information visit Beautify the Park. Dollars for Scholars is a volunteer organization that provides scholarships and all St. Louis Park high School seniors are eligible to apply. Last year 108 scholarships totaling more than $70,000 were awarded. You can support the organization by adding your receipt to the Dollars for Scholars donation bin when you shop at Almsted’s Supervalu or by supporting young people who organize scholarships in their neighborhoods. For more information visit giveMN.org and search for St. Louis Park Dollars for Scholars.